Alice van der Merwe was admitted as an attorney on the 19th of August 2010 with a LL.B Degree. She is passionate about her work and every client is treated with the utmost respect and empathy. Dewet Greeff was admitted as an attorney in 1992 and specialises in criminal law, family law and general litigation. He has degrees in BLC and LL.B. He is passionate about his work and is well known in all the courts in the Gauteng Area. When you want a professional, efficient, comfortable property transaction with no delays then it is our pleasure to offer our services to you. We also draw Antenuptial Contracts and draw Testaments for the good times and administer estates on your behalf for the sad times. 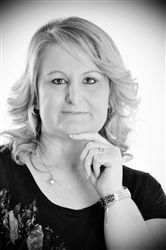 Alice van der Merwe Attorneys is a small firm who attends to client's individual needs with integrity and on a one on one basis. AVDM Attorneys is a law firm situated in Roodepoort, having jurisdiction over Krugersdorp and Roodepoort. Our office will ensure that all work pertaining to your matter is tended to with the greatest of care and diligence by us.